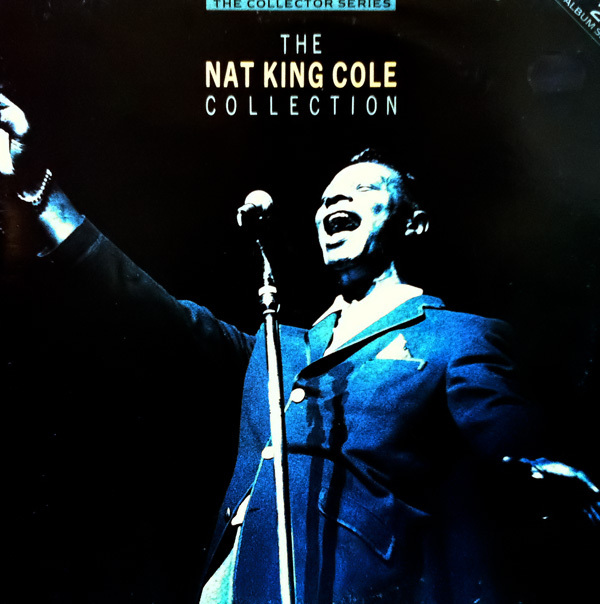 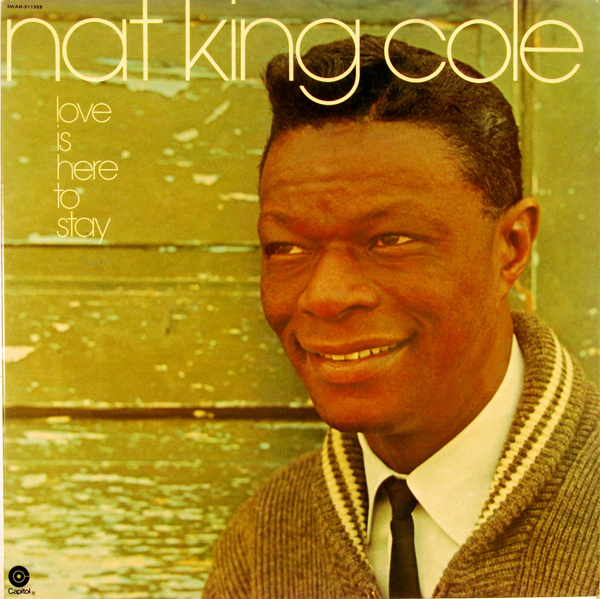 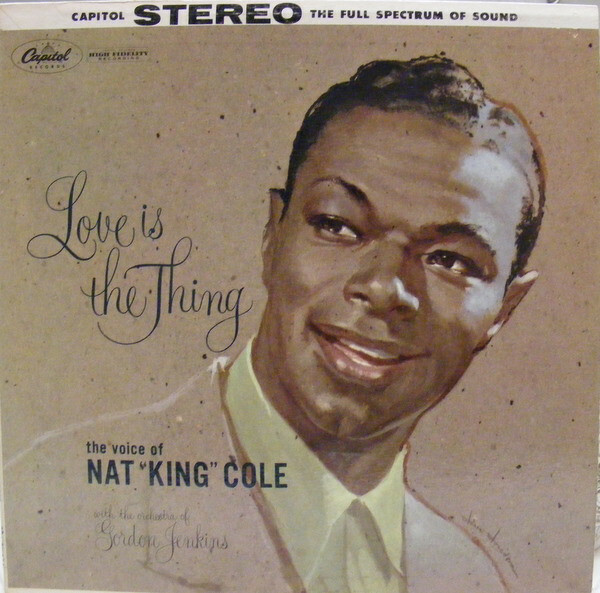 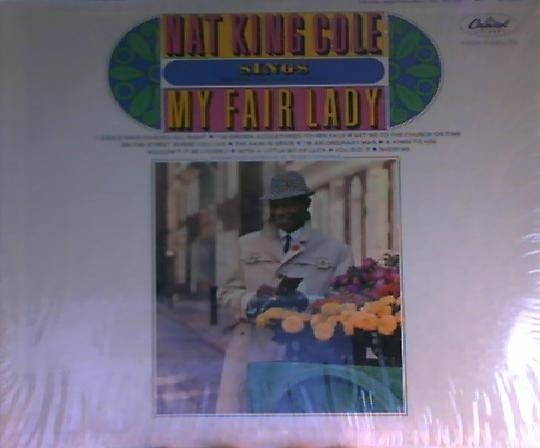 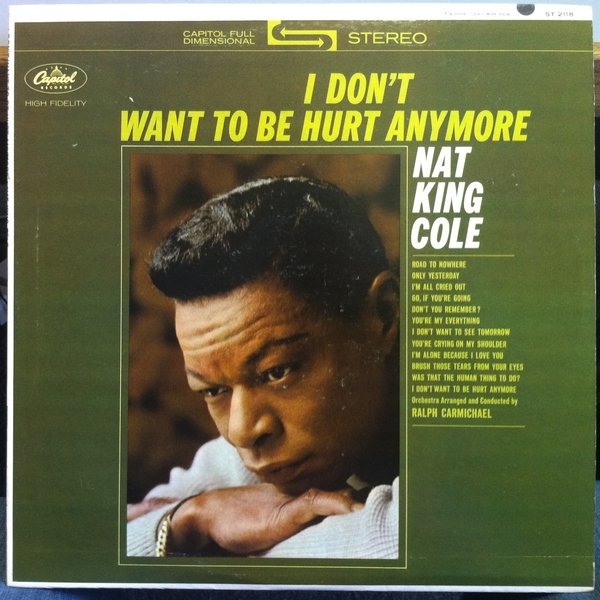 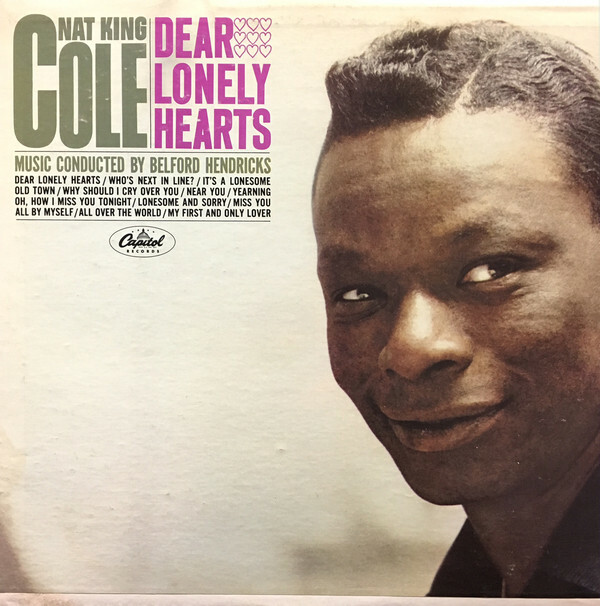 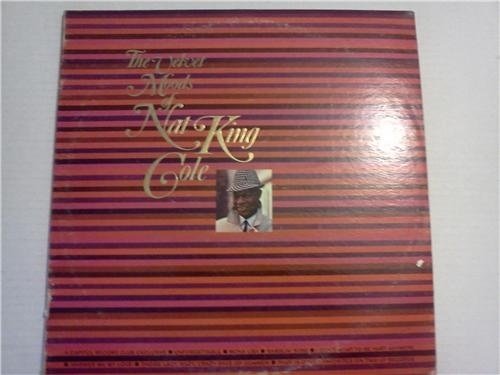 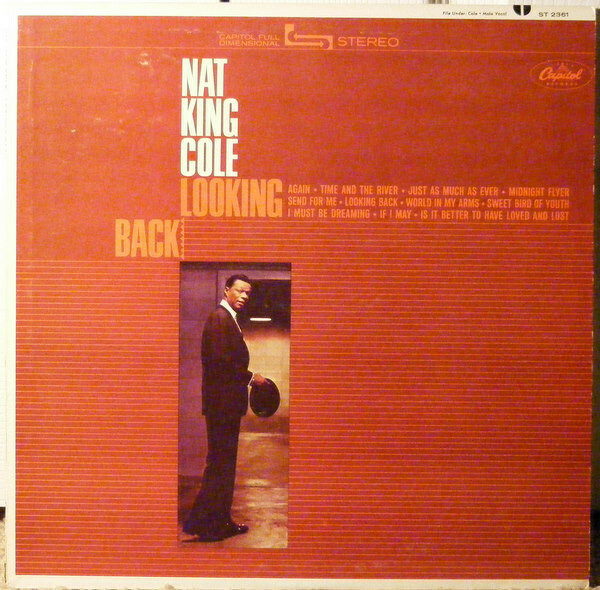 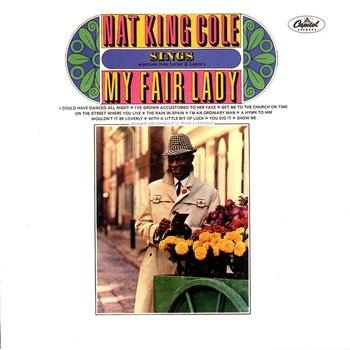 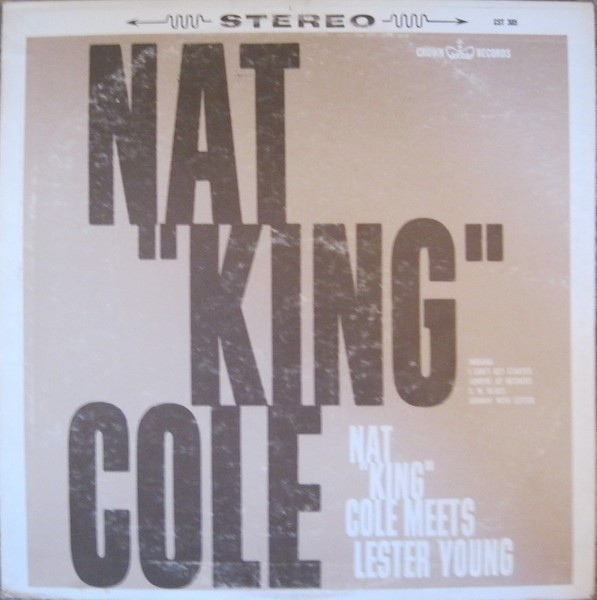 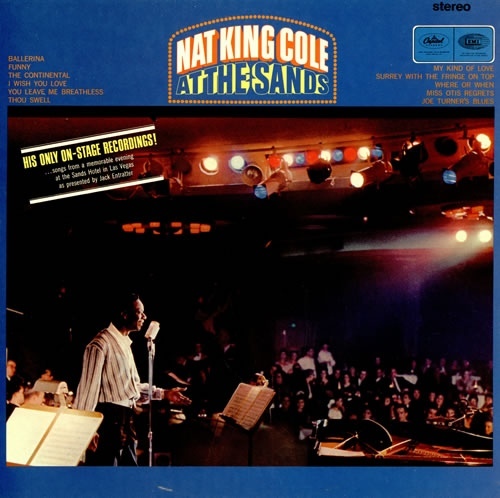 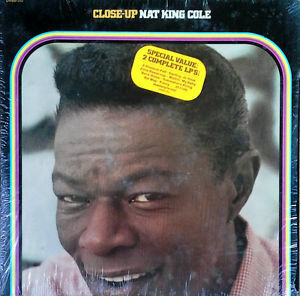 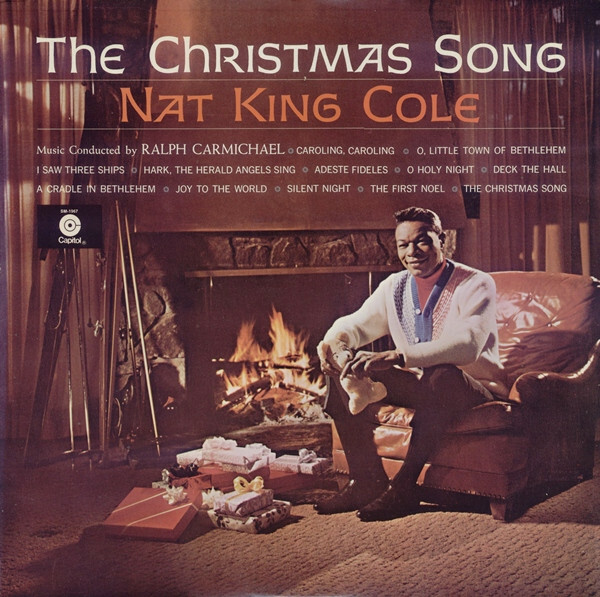 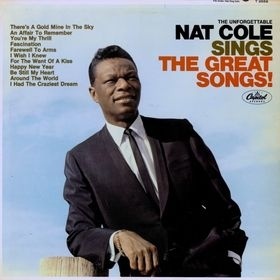 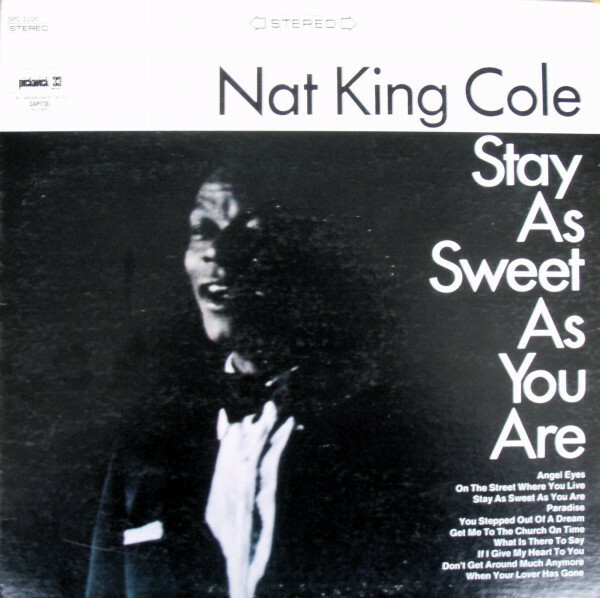 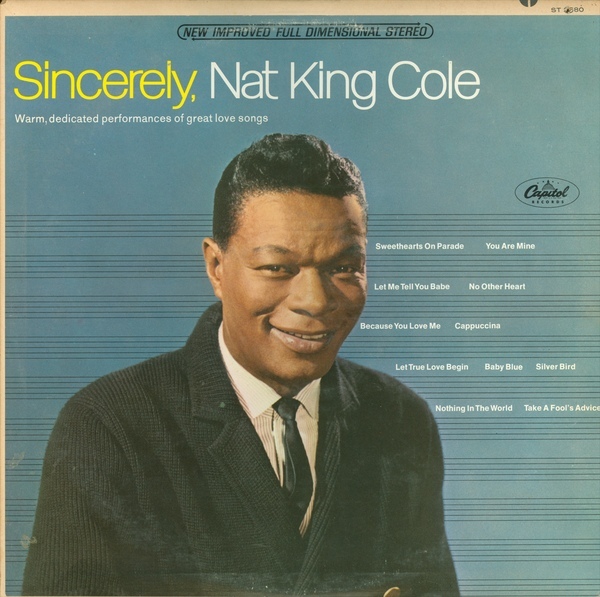 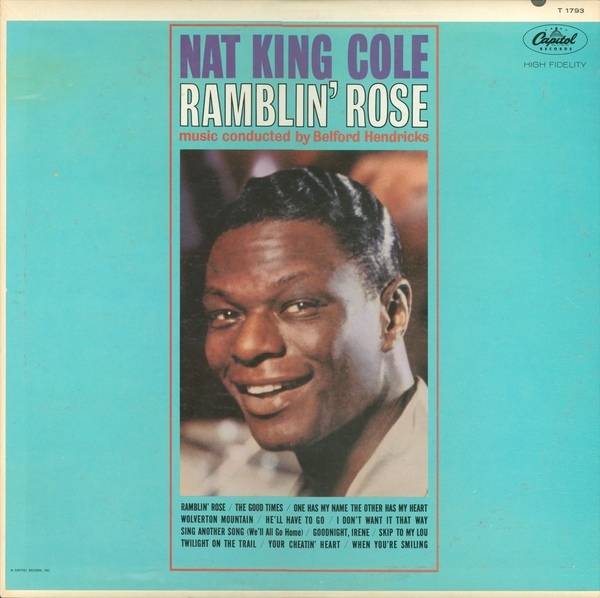 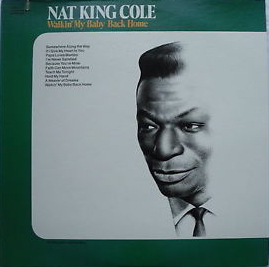 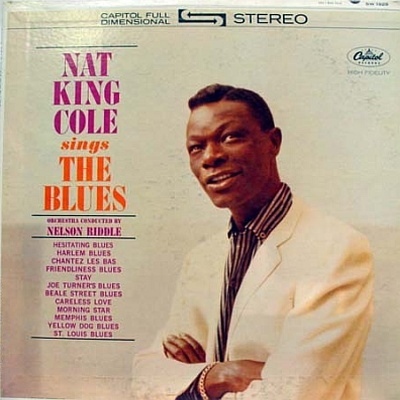 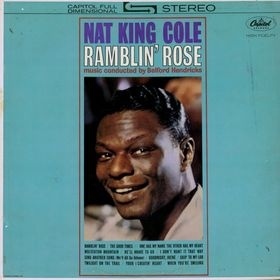 Nathaniel Adams Coles: Nat King Cole came to attention as a leading jazz pianist in the late 1930's. 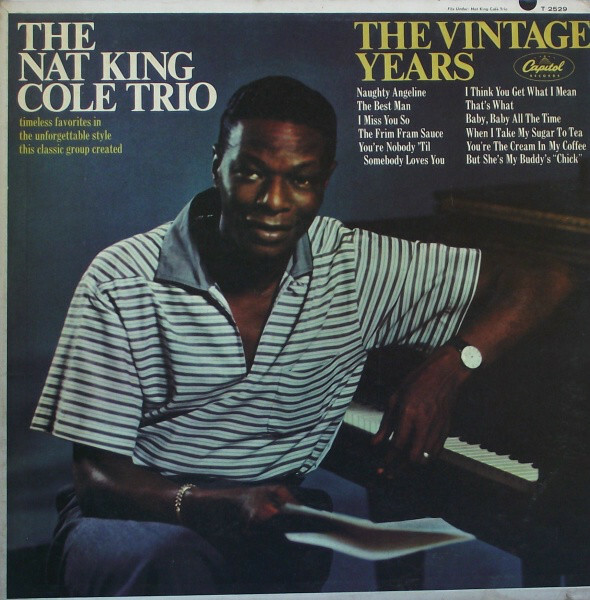 His trio of piano, guitar, & bass was emulated by many. 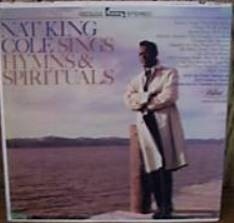 In 1943, with his composition "Straighten Up and Fly Right", he had his first vocal hit. 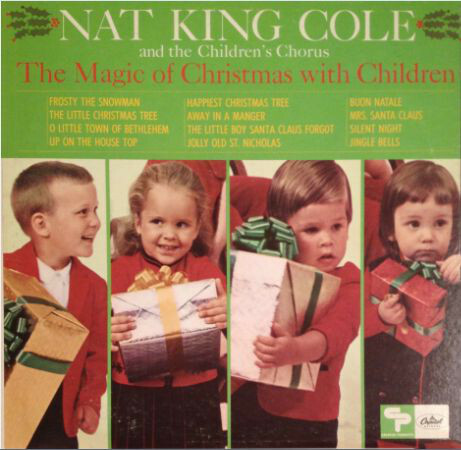 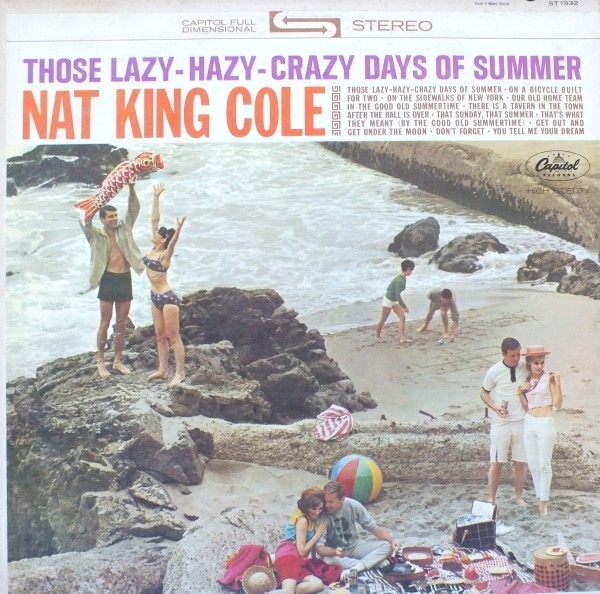 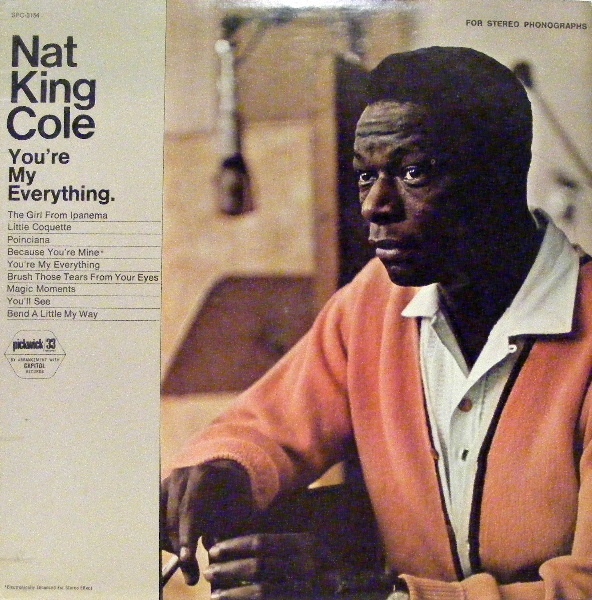 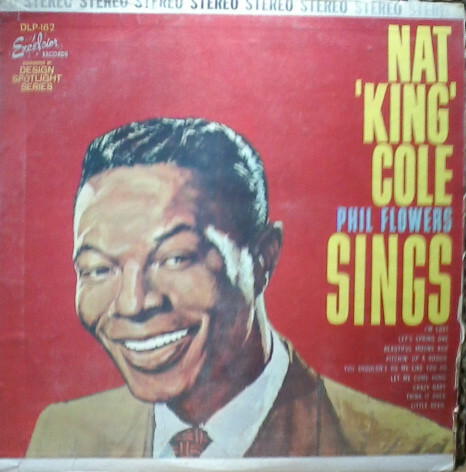 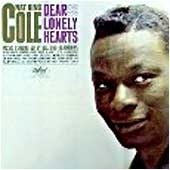 With his soft, baritone voice, Cole became an icon recording much mainstream, pop orientated material. 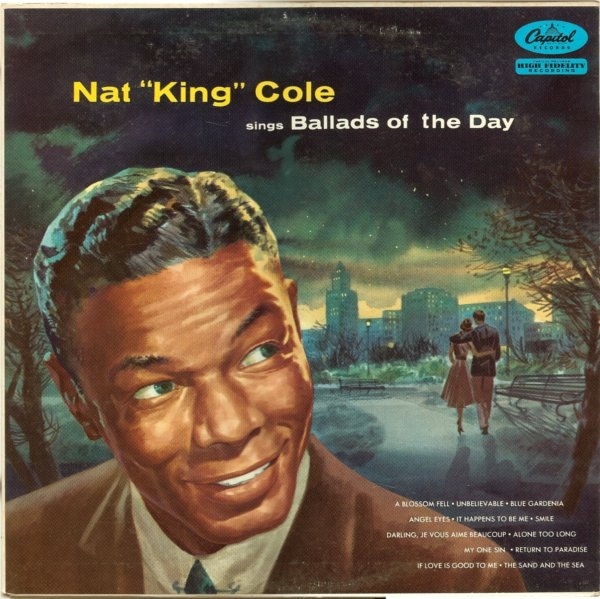 One of the first African Americans to host a television variety show, "The Nat King Cole Show" premiered on November 5, 1956, on NBC. 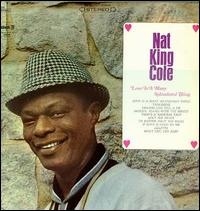 Inducted into Rock And Roll Hall of Fame in 2000 (Early Influence). 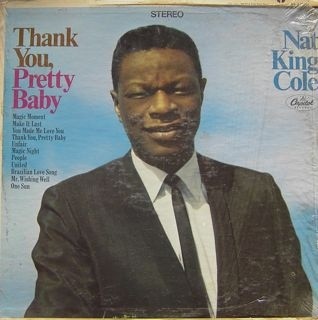 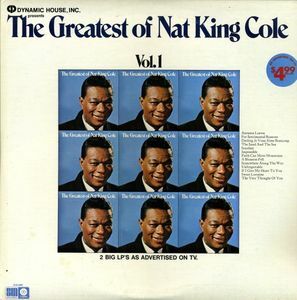 b : March 17, 1919 in Montgomery (USA) d : February 15, 1965 in Santa Monica (USA) Father of Natalie Cole. 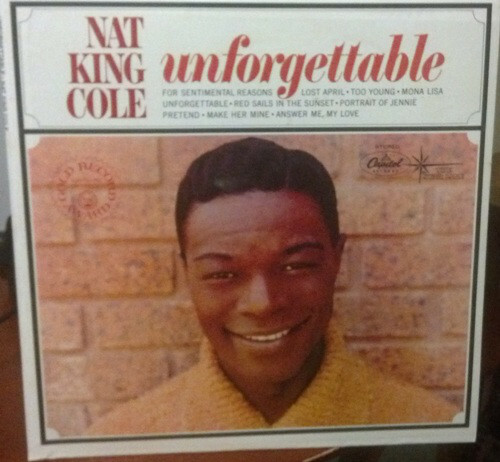 Brother of Ike Cole and Freddy Cole. 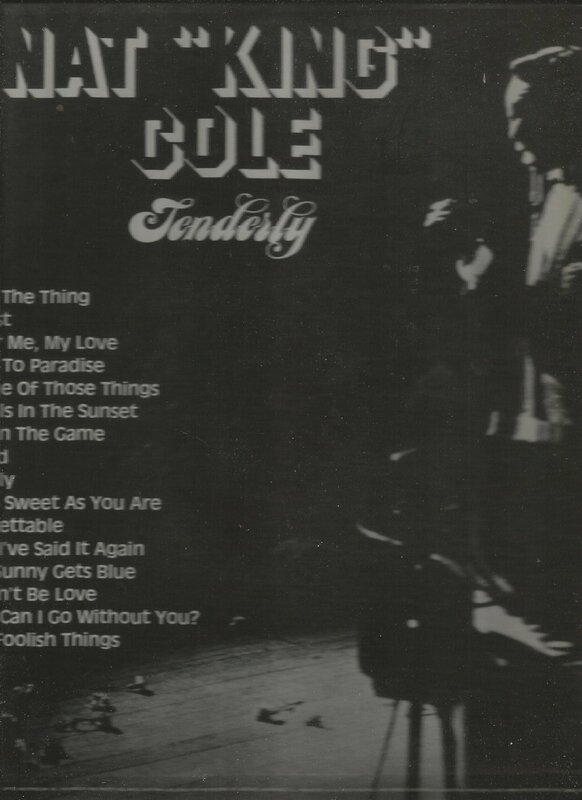 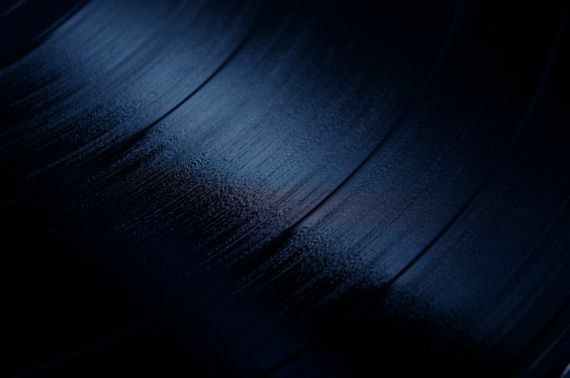 Capitol Records Label; Album cover has minor ring wear; Records appear new; Double record set; Track Listing: Unforgettable; This Can't Be Love; Return to Paradise; It's All In The Game; Love is the Thing; Just One of Those Things; These Foolish Things; Where Can I Go Without You?